Hi everyone! I did a mini unboxing of the Maybelline Color Sensational Matte Metallics Lipsticks on my Instagram recently and quite a few of you wanted to see swatches so here they are! 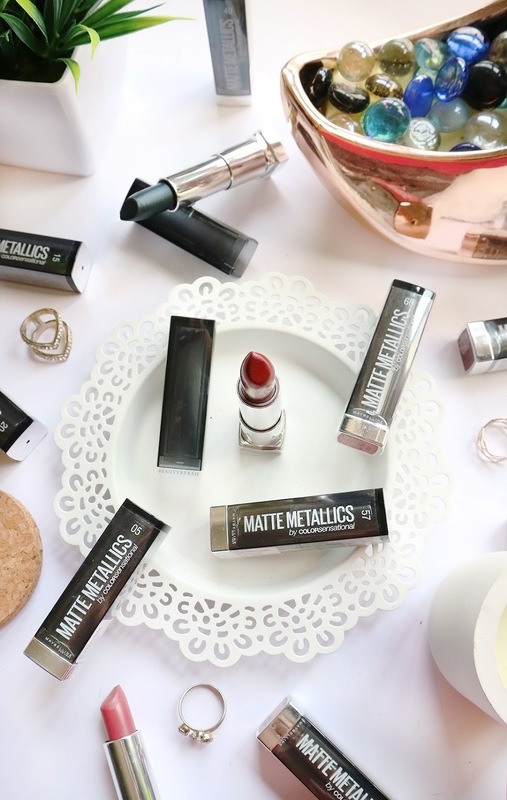 Metallics have been popping up in the fashion and beauty scene lately, and Maybelline decided to bring the metallic trend to their popular Colorsensational lipstick range. There is a total of 10 new matte metallic shades and these lipsticks are easy to wear on its own or as lip toppers to transform any lipstick. These are said to be long lasting and non drying, and has the ability to give even coverage in one glide. These retail for SGD 14.90 per tube (3.9g) and can already be found at local drugstores as they were launched on 1st February 2018. 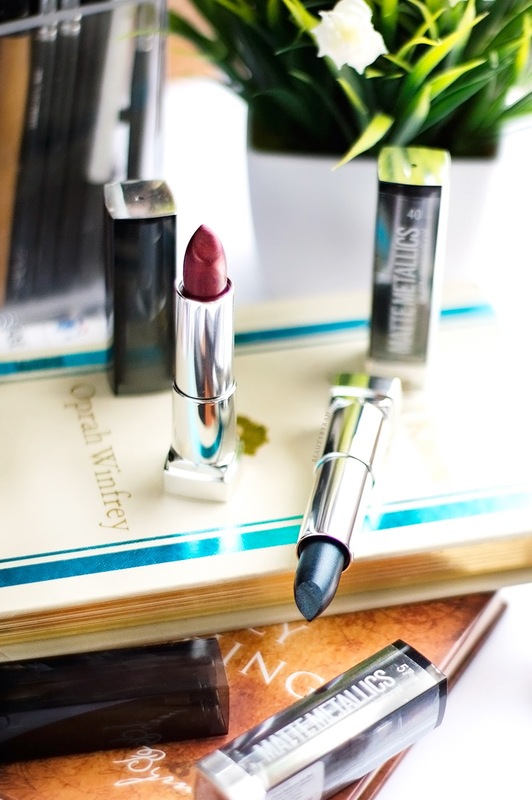 First impressions wise, these lipsticks are creamy in formulation and they do glide onto the skin nicely without tugging. Pigmentation isn't full on, which was what I expected anyway as these have to option of being used as lip toppers, so it gives you control over the intensity during application. One layer does deposit a good amount of pigmentation onto the lips, delivering a soft wash of colour onto the lips that is semi-opaque. Adding another layer increases the intensity and shine and I do find that for most of the shades, 2 layers are sufficient to provide full opacity on the lips. I do recommend exfoliating and prepping the lips beforehand if you're planning to wear these on its own as I do find that the darker shades do cling onto dry patches and can emphasise the lip lines if your lips are extremely parched (like mine). Other than that, these do wear pretty comfortably and I really like how these are still very wearable despite the metallic hues. 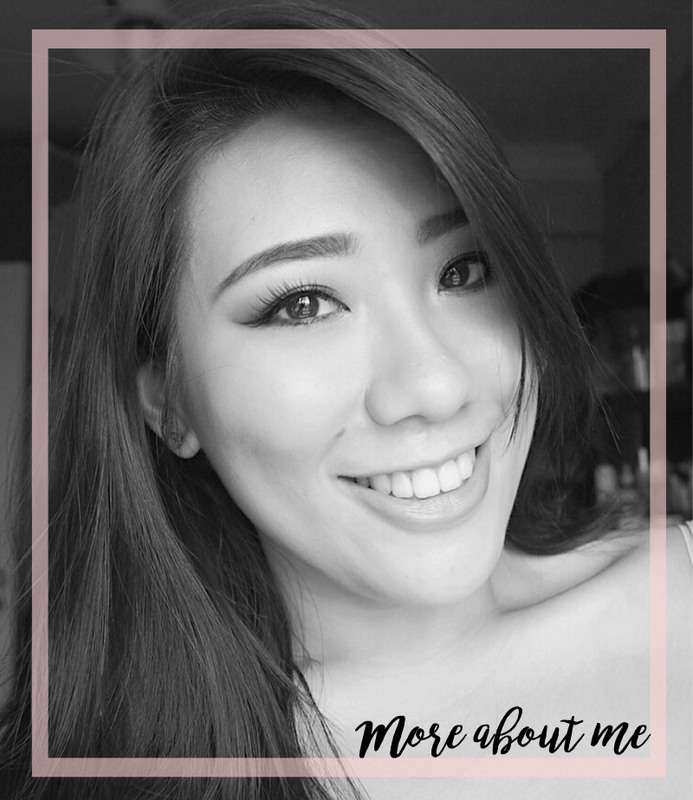 This is a good option to amp up any makeup look (especially so since Valentine's Day and Chinese New Year is coming up!) and get onto the metallic trend at an affordable price. I also did a mini video of these on my Instagram stories (available in my story highlight for now! ), so you can see the metallic sheen when the light hits at various angles, if you're interested. My top 3 shade recommendations are White Gold (works so nicely as a lip topper), Molten Bronze (this is probably the most interesting and unique lipstick shade I've seen in my life. It has greenish hues when it hits the light and it reminds me tremendously of the duo chrome eyeshadow, Girly from Too Faced) and Spiral Galaxy (the most wearable shade on its own, imo). Side note, the shade 50 Gunmetal is so interesting! I've never really seen a metallic blue lipstick at the drugstore before. 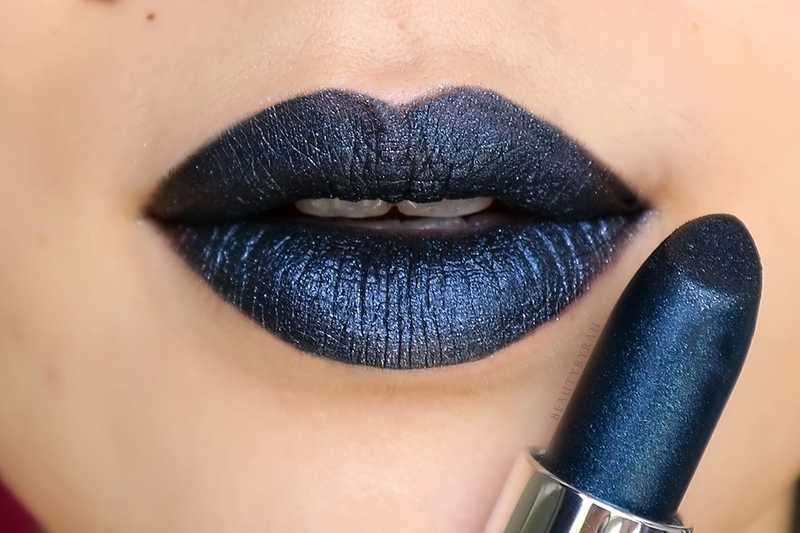 Here's a lip swatch of it over a black liquid lipstick from Kat Von D (shade : witches). So stunning. 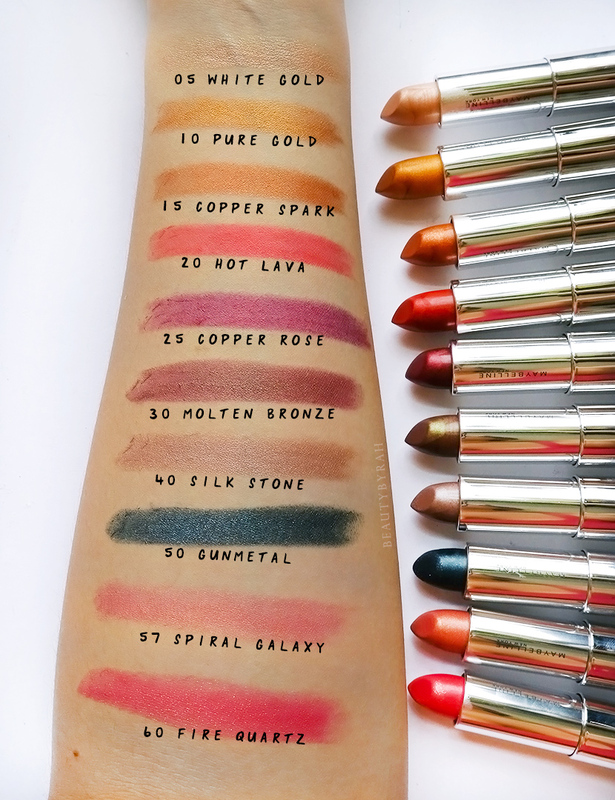 For SGD 14.90, I do think this is a great option to try out the metallic lip trend! What do you think of the metallic lip trends? **Lipsticks were from a PR package from L'Oreal Singapore. I am not compensated nor affiliated to the company.